Jukai is a doctor who travels the land fitting prosthetic arms and legs to those who have lost their limbs in war. One day, on the riverbank he finds a baby missing most of its body parts. He decides to raise the child, who he names “Hyakkimaru”. 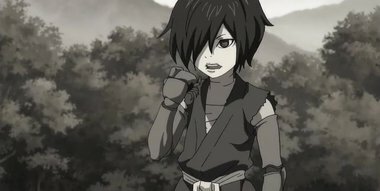 Jukai provides the child with prostheses, but the time comes when Hyakkimaru sets out on a journey to recover his own body parts.